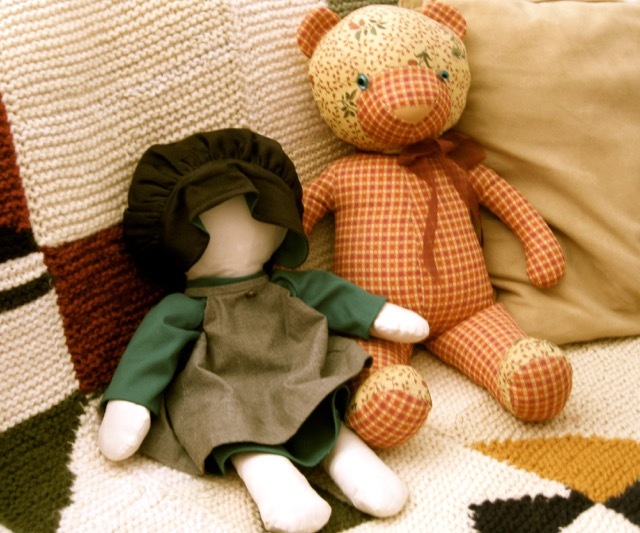 sewing together. 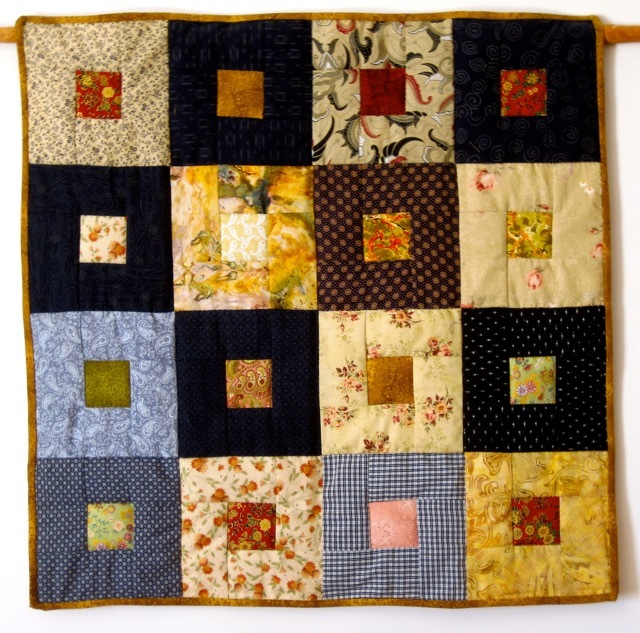 Ginette has a very original and personal quilting approach. 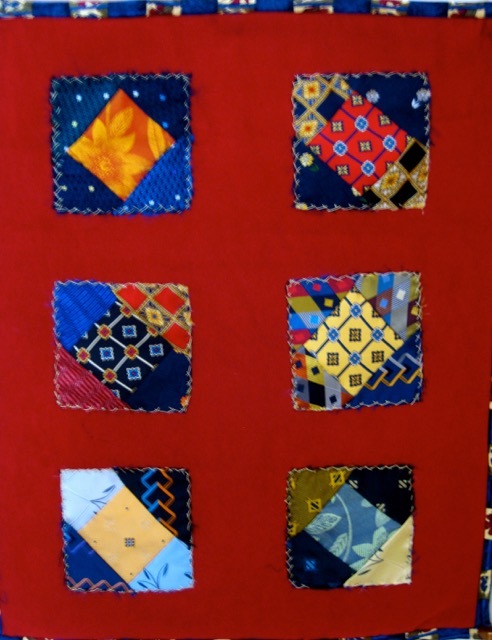 I took pictures of a part of her numerous quilts and dolls to share with you her talented work. 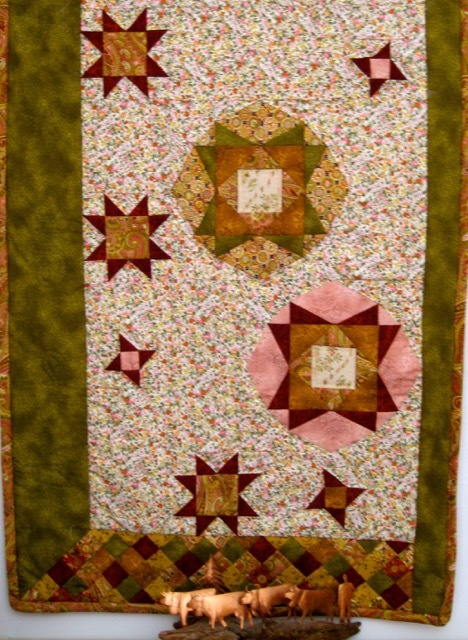 Her two daughters are quilting as well and the last two pictures show their own scrap creations. 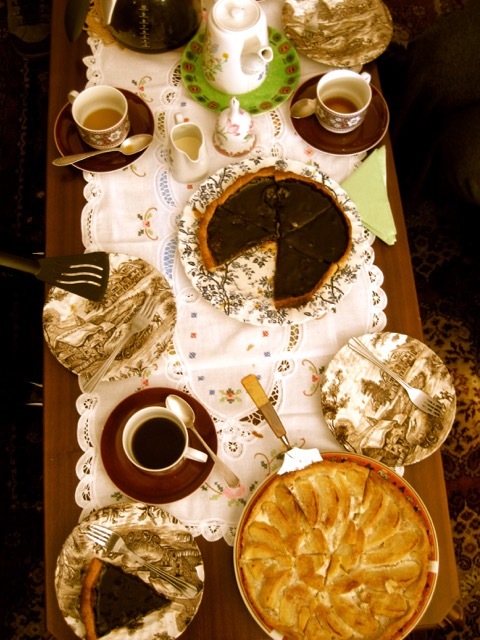 Of course, a quilting meeting does not go without coffee, tea and cakes. We all love the fine Ginette's pies! I loved everything you had to share today. So many pretties to look at. Much have been a wonderful day for all of you. Thank you for sharing. Mais comment as-tu fait pour prendre une photo aussi....aérienne ? On a l'impression que tu voles au-dessus de la table !! Oh! What a nice gathering to attend. Reminds me of the days my mom would get together with her European friends for coffee. They always had some kind kuchen to enjoy! 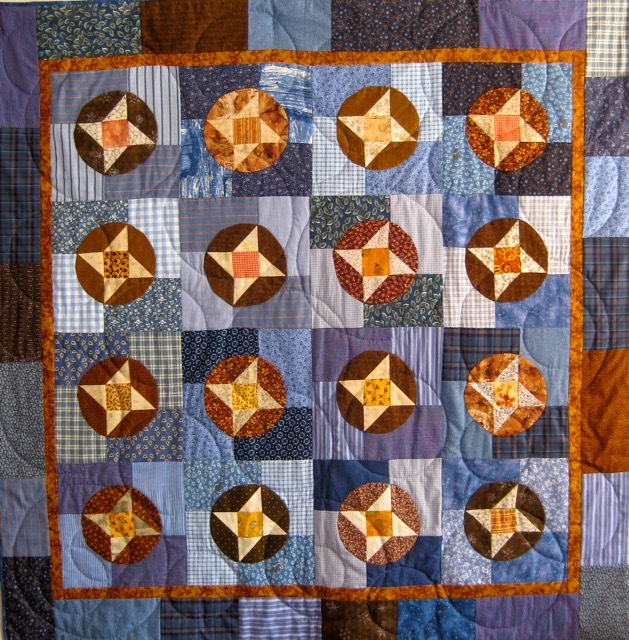 Love all of your friends quilts especially the first one with the quilted circles and friendship stars! 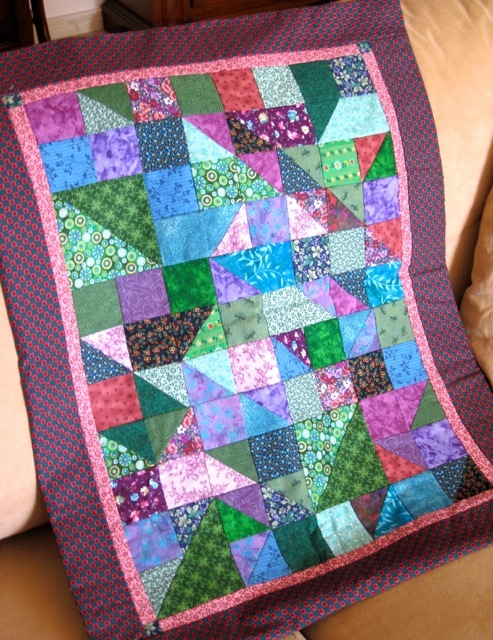 Oh how I wish I could visit your quilting group! You all always have the most delicious looking food and beautiful projects. 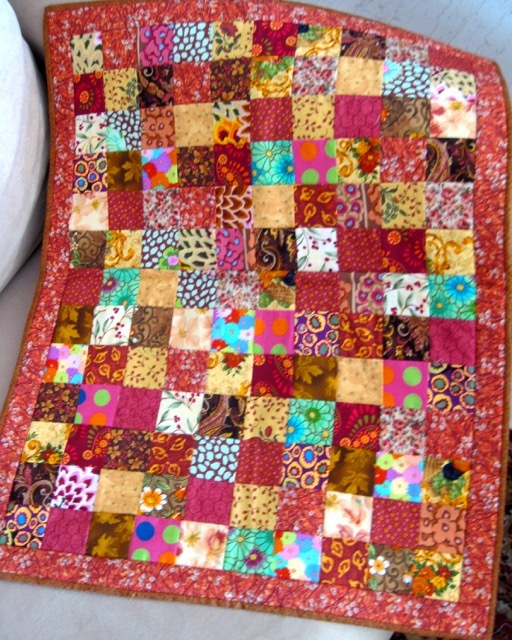 That last scrappy quilt really is special. Thanks for sharing. 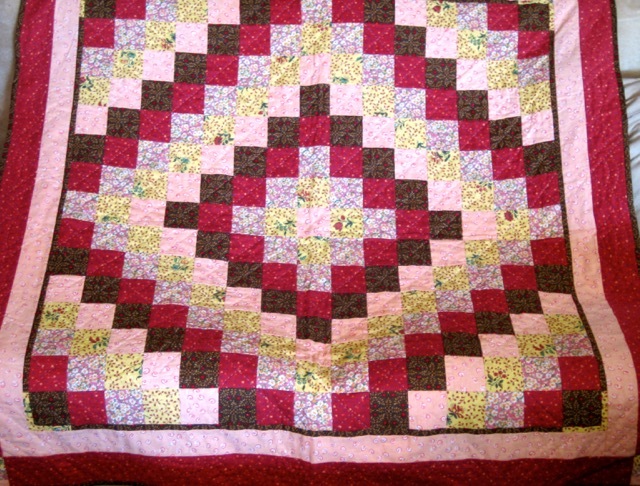 It sounds like a perfect day, beautiful quilts together with cake and coffee. Your quilting group sounds wonderful. So much inspiration.....especially the desserts! Love those dishes. What a lovely day you had. 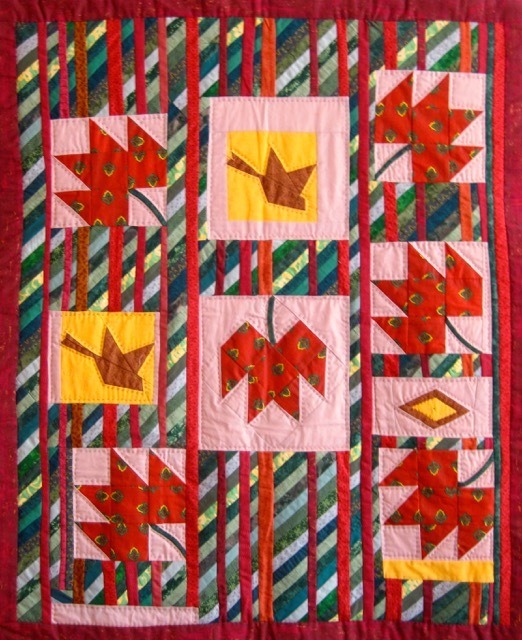 Ginette is fortunate to have quilting daughters, too. 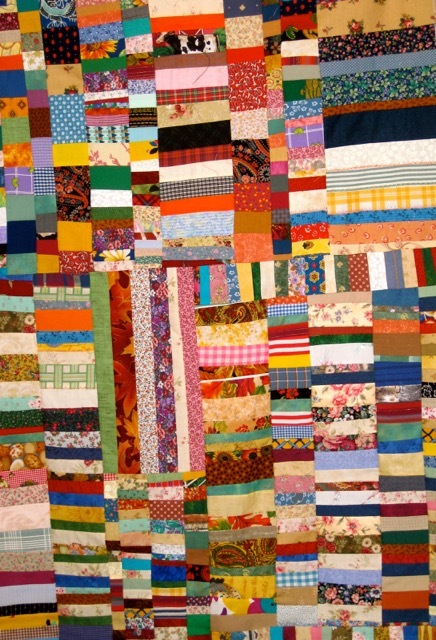 Their scrap quilts are very intriguing. 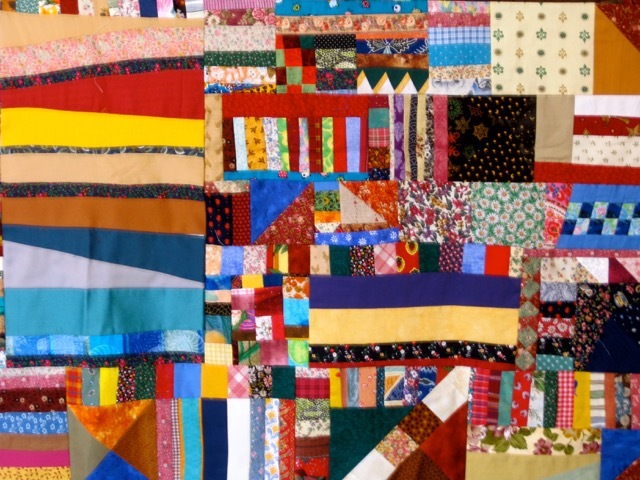 I always enjoy looking at such complex/random quilts. And finally, pie! Beautifully served. I don't know what's more delicious... the colorful and vibrant patchwork or the tables spread with sweets; what a lovely time, thanks for sharing!